There are many dishes served in numerous Chinese restaurants in Indonesia that I cannot find anywhere else. 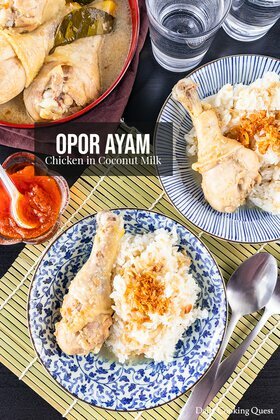 One such dish is this super delicious ayam goreng lada garam, and another one is ayam goreng mentega. 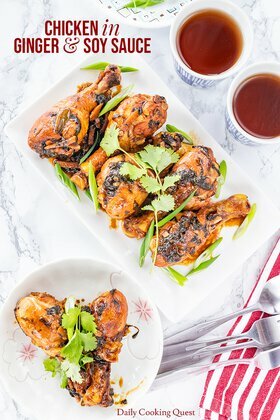 Ayam goreng lada garam - spicy chili fried chicken can be considered a more recent invention, probably in the last decade. Since its introduction, this dish has been gaining popularity; and nowadays, practically all Chinese restaurants in Indonesia have this in their menu. 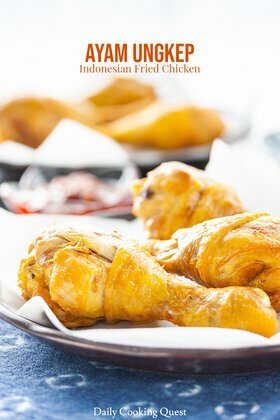 If you are frequent readers who have been following my recipes, you probably realize that many of my fried chicken dishes use the same recipe for the fried chicken portion. This is one of my basic go-to recipe, and I have it pat down and memorized. This is so basic that sometimes I will prepare double or triple batches, and once they are all fried, I cook different dishes. The sauce part is always super quick, so this trick is really handy when I need to prepare several dishes in one go. 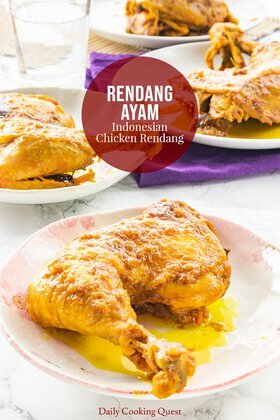 With the same fried chicken, you can quickly whip up ayam goreng mentega, easy spicy sweet and sour fried chicken, and ayam goreng saus tauco. Heat oil in a frying pan over medium high heat. Sauté garlic and chili until fragrant, about 3 minutes. Add scallions, season with salt, ground pepper, and sugar. Mix well. Add in the minced dried shrimps, stir until dry. Return the fried chicken to the frying pan, gently toss to coat. Hi Anita, thanks a lot for posting this great recipe! Do you think this recipe still works if we bake, not deep fry, the chicken? 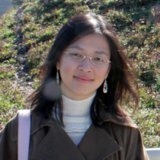 Hi Anita, thanks so much for your reply, and the orange hoisin chicken stir fry (baked version) recipe! I am going to try these recipes soon. Thanks again! Hi Anita, Enjoy your recipes and look forward to trying many. Can you tell me what type of chilies you reference in this recipe as well as some others? Thank you! Hi Michael, I use dried Thai red bird eye chilies because that's what available in my Asian markets here :) But you can also use Chinese dried chilies as well. You can also use fresh chilies if you want. In that case, you can use fresh red Thai bird eye chilies (I guess green is also okay, but I prefer red for aesthetic reason). Or, when you want less heat, try using fresh red fresno chilies.